Marvel Future Fight Delivers Knockout on Mobile - Hello! Welcome to my blog! 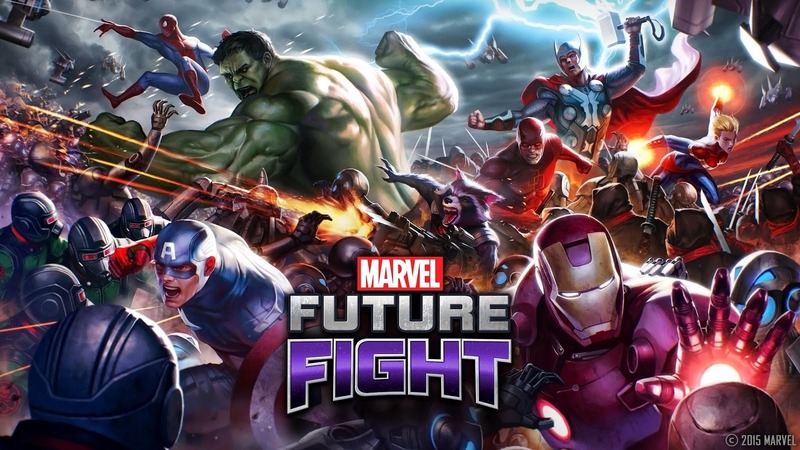 Just in time for the worldwide release of Marvel's "Avengers: Age of Ultron," people will have a chance to play with their favorite heroes on the small screen with the new action RPG "Marvel Future Fight" on iOS and Android. 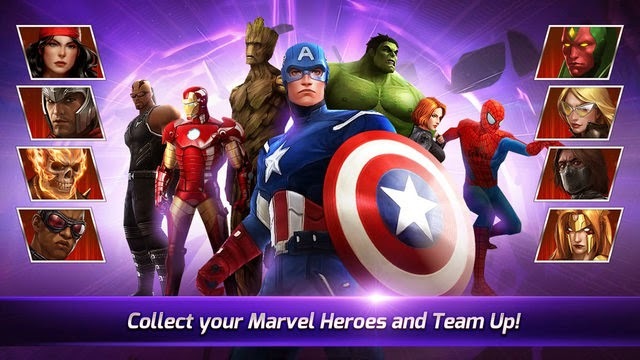 Although it's not directly tied to the summer blockbuster, the new mobile game still features everyone's favorite Marvel heroes and some of its most infamous villains with 36 officially licensed Marvel characters. This includes the Avengers (natch), reviled robot Ultron, the dashing Daredevil (also fresh off his own successful run on the Netflix), and many more. 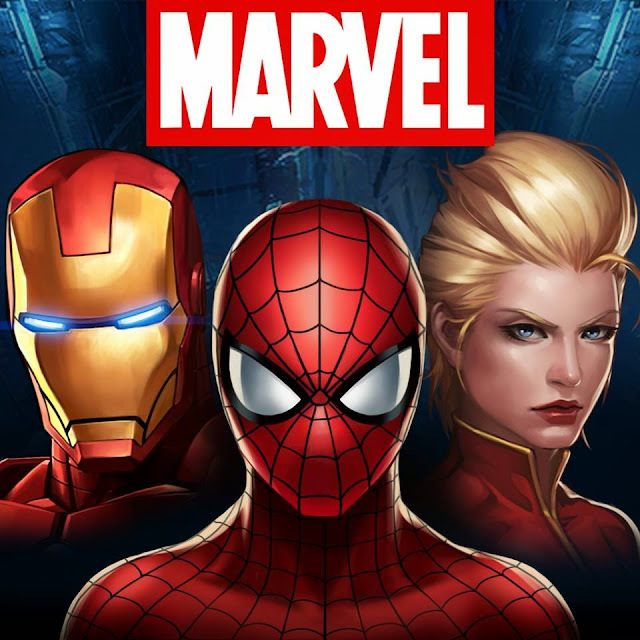 The new game is the latest in Marvel's takeover of the mobile market and was put together by Korean developer Netmarble. It balances enough depth to keep the gamers happy while also maintaining enough simplicity to appeal to casual fans. Featuring a single-player campaign along with a 3v3 battles that allow you to network and test your might against other players, the game packs plenty of punch for fans looking to plug in or drop out. An intuitive one-finger control system makes it accessible to newcomers, and the game also makes use of the virtual control pad for players looking for a classic feel. There's no underestimating the drawing power of Earth's Mightiest Heroes as the free-to-play game quickly muscled its way near the top of the charts for all mobile platforms. Barely two weeks since its release the app has made its home in the top three on both iOS and Android, beating out other top apps like "Clash of Clans" and the recent "Mortal Kombat X." The high-flying heroes are dominating the casual gaming market and show no signs of stopping any time soon. Marvel's cast of characters have even gone so far as to slide their way into online gaming. This is apparent after browsing through the games at Betfair, where Iron Man, Daredevil, Spider-Man, Captain America, and of course, the whole Avengers squad make appearances with their own slot machines based on previous films and comic book series. However, this success only feels like an appetizer to the main course of LEGO Marvel's The Avengers slated for fall 2015. LEGO's bricked-out adaptations of licensed franchises have been a huge hit with fans across the world of all ages. That's all thanks in part to the company taking on such popular icons as "Batman," "The Hobbit," and the upcoming "Jurassic World." The new LEGO Avengers will pick up where LEGO Marvel Superheroes left off. It should be a more focused outing than its predecessor, as it covers both 2012's original Avengers film and this summer's "Avengers: Age of Ultron." One hidden power of the superhero team seems to be the ability to print money. The massive popularity of the Marvel universe has taken the world by storm and only continues to grow as it closes out Phase 2 of the cinematic universe in 2015 with the introduction of the pint-sized petty thief turned big-time hero, "Ant-Man." The indomitable insect will introduce audiences to a new host of characters and should provide a hopefully lighter take on things before we start to brace for 2016's "Captain America: Civil War." And who knows, maybe Ant-Man will get his own Betfair and LEGO games, too!